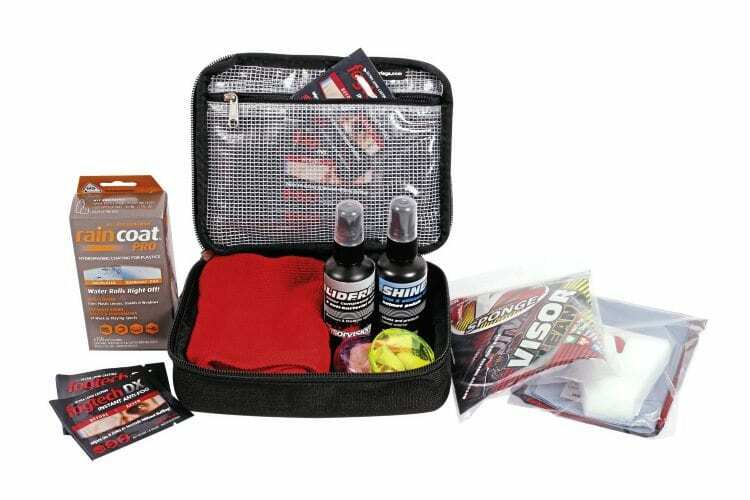 Delivered in a brilliantly useful Kriega Kube pack (worth £17.50), this kit contains everything to keep your helmet in perfect condition: two V2 sponges; 12 sachets of Fogtech DX; a bottle of Raincoat Pro; Lidfresh helmet sanitiser; Shiner helmet polish; a microfibre cloth and four pairs of Moldex earplugs – total value £68.50. I’ll be doing more in-depth reviews of the Fogtech, Raincoat and V2 sponge over the coming months, but I can already say that this is a great way to try all of the company’s products. I’ve used Fogtech for a long time – usually I get the £16 bottle of the solution, but the wipes are a convenient way to apply this very effective anti-mist treatment. With Pinlocks so often supplied with lids now, it may seem irrelevant, but I often prefer this; on the recent Fireblade launch, I didn’t want to have the second layer of plastic in front of my eyes, so gave my black visor a wipe, and never had a problem with fogging. I’ve used it on ski and safety goggles with great results – the only disappointment is that it won’t work on my Specsaver glasses, as they’ve got a coating that makes Fogtech look smeary; lenses treated with Crizal anti-glare, anti-fingerprint, super-oleophobic (oil repelling) coatings sadly aren’t compatible. The V2 sponge is a very effective little tool that comes with a tight-seating bag to keep it moist; in the winter filth, this will keep your visor clean. Raincoat Pro makes larger water droplets roll off your visor, keeping it clearer in the worst weather. 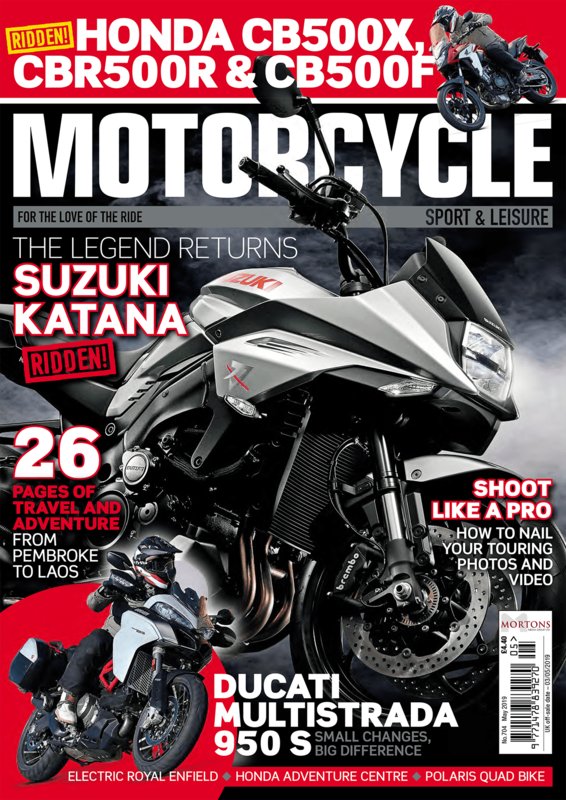 I’ve already treated my Shoei Neotec with the Lidfresh and Shiner products – after a spray with the sanitiser, I was really impressed to find that it didn’t leave my lid with a perfumed smell. In fact, it’s the closest I’ve got to that wonderful new helmet aroma. Unlike furniture polish, Shiner is safe for use on all shells, including the visor, and is easy to apply without leaving any dry build-up. It leaves a very impressive gloss! If you’ve used Visorvision’s products before, you’ll likely be topping up just the items you need, but if you haven’t been converted, or you’re looking for a biker’s present, this kit is highly recommended.